The night’s menu was paleo stuffed zucchini, and I needed a delicious side to go along with it. I normally love green vegetables, but I don’t want to pair green with green. I needed color! So on a whim I decided to try this out. 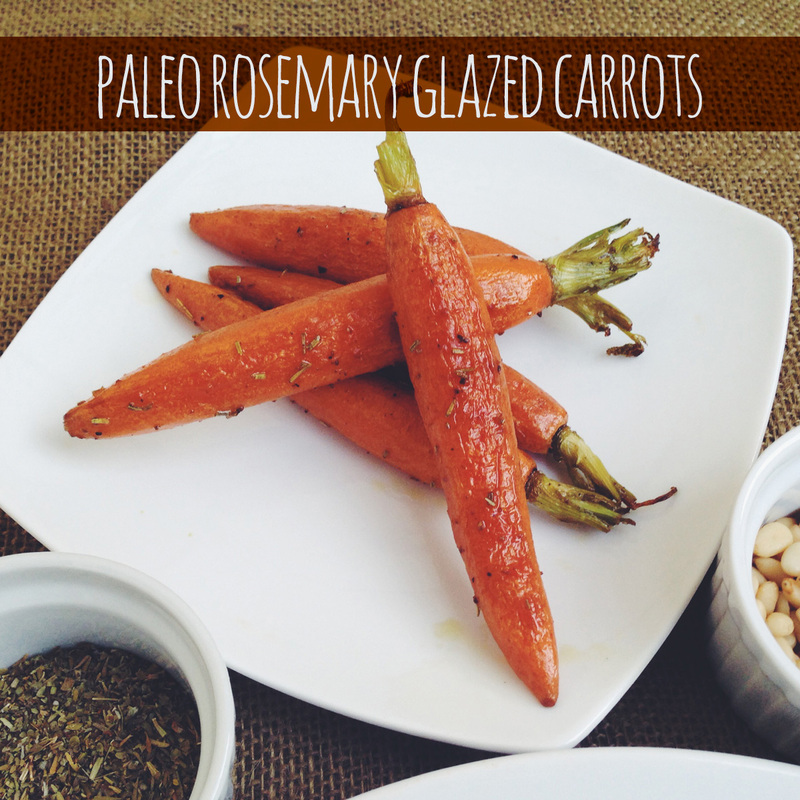 I love glazed carrots and I love rosemary, I figure it might make for a delicious italian side. And it worked great. 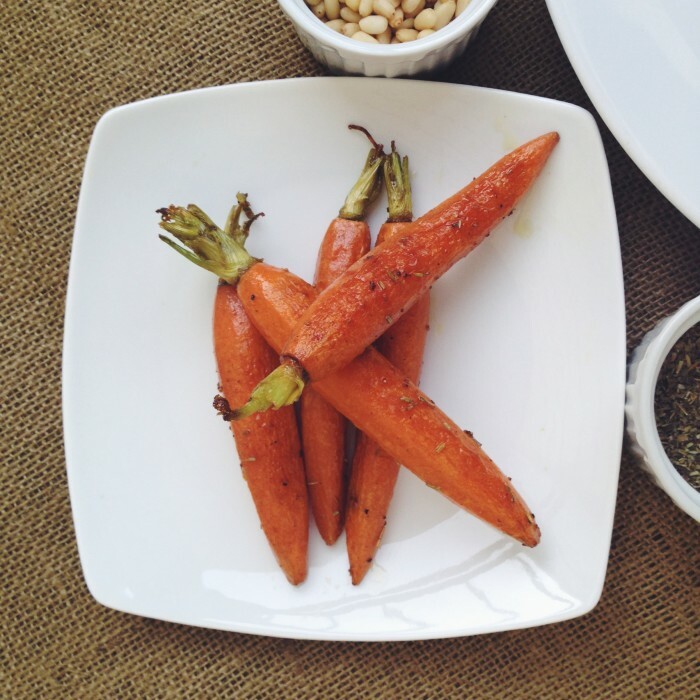 These are probably my favorite preparation of cooked carrots I’ve ever tasted. Plus, it’s paleo! The only downside to the dish is that I royally burned three blazing blisters into my hand from touching a hot handle—so be careful when you make this! Start by cutting off the stems of the carrots. (Leave a tiny bit of the stems for look.) Then roughly peel the carrots until you get rid of all the outside and find yourself with these delightful baby carrots, ready to make delicious. Drizzle a tablespoon of olive oil on the bottom of a pan (make sure the pan is okay to put in the oven). Turn the heat on and add the carrots, along with the seasonings. Toss the carrots around in the pan until they get a bit of a caramelized brown on the outside. Once they get a slight amount of cook, throw the pan in the oven for about 10 to 15 minutes. The carrots should have an even coating of the olive oil and seasoning from tossing them around in the pan. So they’ll be ready to eat once you’re ready. Be sure they’re just shy of crunchy so they’re still nutritious, but also easy to eat.